L-R: Badj Rahman, Places for People, James Lazarus, CRT, Cllr Ian Ward Leader of Birmingham City Council and Adam Willetts, Urban Splash. 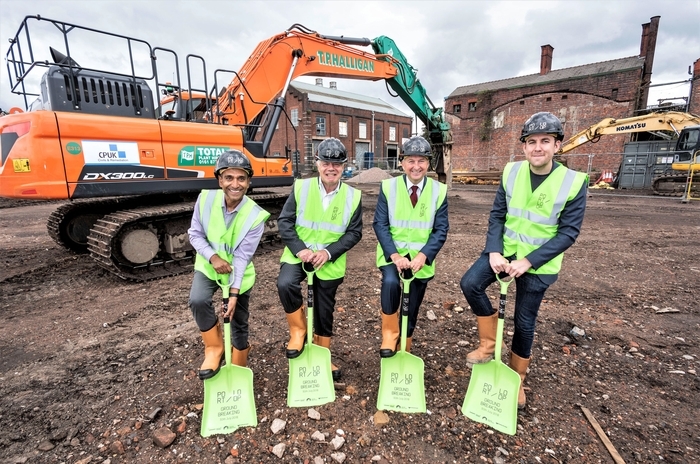 Work has begun on Birmingham’s most exciting new development – the transformation of Port Loop. The start on site of the first 77 homes means that work is now underway to realise an ambitious masterplan that will feature not only new homes but also shared courtyard gardens, new public parks and community spaces together with canalside retail, leisure and commercial facilities.